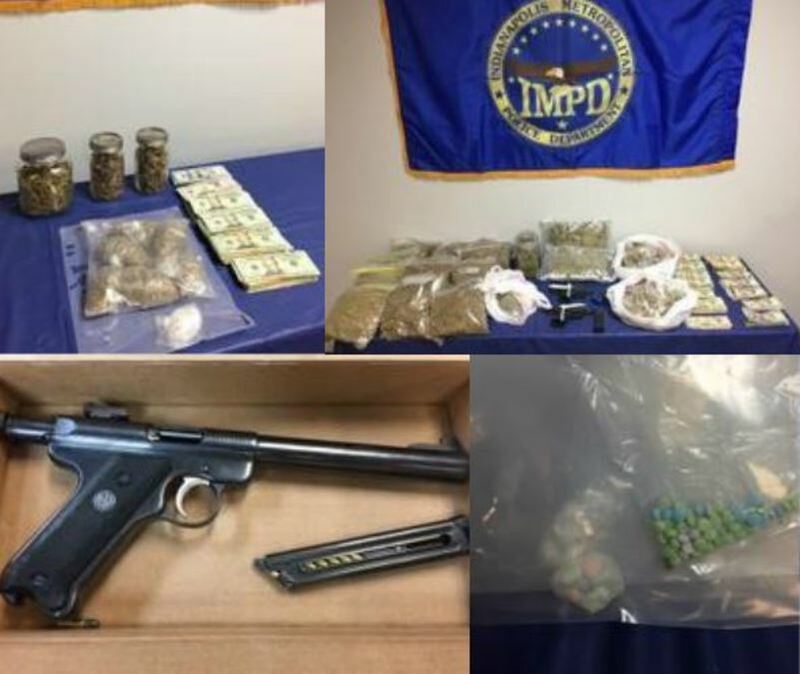 INDIANAPOLIS -- Eight people were arrested and thousands of dollars in drugs were confiscated during a pair of drug busts on Indianapolis' northeast side. Indianapolis Metropolitan Police Department detectives along with Indiana State Police and several other specialty units served simultaneous search warrants at two homes in the 2800 block of N. Gladstone Avenue on August 9. Chester Irons, 27: Preliminarily charged with dealing/possession of synthetic cannabis, dealing/possession of marijuana, maintaining a common nuisance, neglect of a child. Juquan Irons, 25: Preliminarily charged with dealing/possession of synthetic cannabis, dealing/possession of marijuana, maintaining a common nuisance and neglect of a child. Nykia Thigfen, 23: Preliminarily charged with possession of synthetic cannabis, possession of marijuana, maintaining a common nuisance. The Marion County Prosecutor will review the case and make charging decisions. Indianapolis police urge anyone with information on criminal activity to call Crime Stoppers of Central Indiana at 317-262-8477.